This is my second attempt at these using the cute molds from William Sonoma. This recipe has been adapted for blueberries from the Cherry Pocket Pie recipe found on their website (and possibly included in the packaging for the molds). See my first attempt here. In a saucepan, whisk together the 1/2 cup granulated sugar, the cornstarch and pinch of salt, then add the blueberries and vanilla. Set over medium-high heat and cook until slightly thickened, about 15 minutes. Let the filling cool. Let the dough stand at room temperature until it can be rolled. On a floured surface, roll out 1 dough disk into a round 1/16 to 1/8 inch thick. 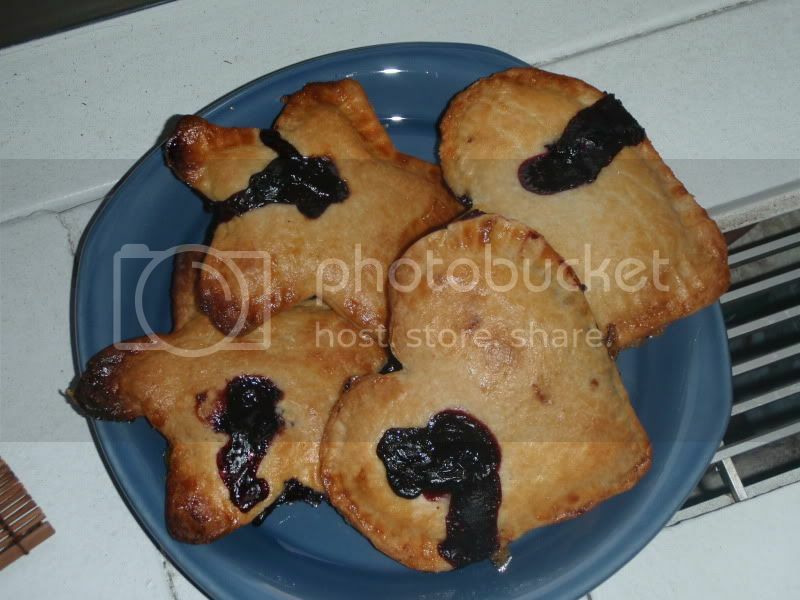 Using a pocket pie mold, cut out 8 of each shape (4 solid and 4 with the decorative cutout). Reroll the dough scraps, if necessary, and cut out more shapes. Repeat with the remaining dough disk. Makes about 8 pocket pies. 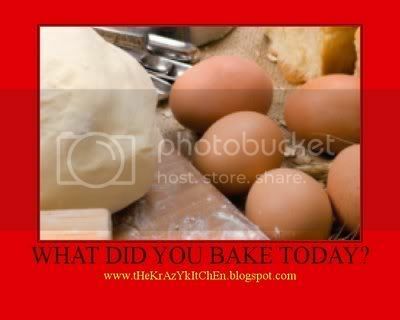 I'm also participating in What Did You Bake Today? over at The Krazy Kitchen. Those are adorable! What a great idea for the holidays. Neat molds! This should be an ad for Williams-Sonoma. I'm ready to get some. They have apple and pumpkin too. Thanks for sharing your lovely blueberry adaptation.